Very Popular & Profitable Restaurant and Bar in El Dorado County. An experienced operator will be able to see the value in this well setup operation. Great Demographics in a highly desirable area of El Dorado County, just minutes to Folsom, Ca. The Locals make this a regular stop for Food, Entertainment and Socializing. An all ages customer base in an affluent area. Expansive Patio shaded for Summer menu's and cold beverages...customers love this feature!! Two Dining areas and two separate Bar where customers feel relaxed and comfortable. 15 Tv's, Pool Tables, POS systems and plenty of room to accommodate small and large groups with ease. Established as one of the Best Restaurants in El Dorado County. Current Menu is breakfast, Lunch and Dinner with a wide selection of Salads, Sandwiches, Burgers, Steaks and Appetizers. A good variety of entertainment in place featuring Live bands mixed with some DJs...with something for everyone. Fully Equipped Kitchen with Pizza Oven. 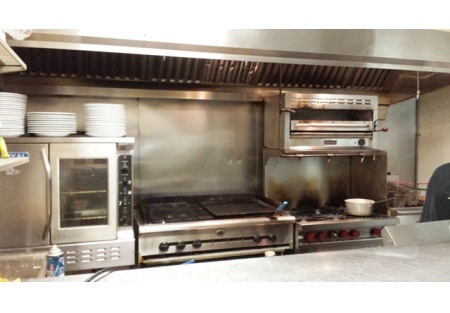 2 walk ins, Freezers, Grill, Oven, Fryers, liquor rooms, Beer coolers, Wine chillers, Freezers and much more. Can handle most any menu and large volume. Lease: Approx. 5,920 sqf at $7,868 base rent, plus cam of $1,689. Total rent $9,557 That's a reasonable $1.61 psqf. Sales 2013 $1,149,211 ....averaging $95,768 per month. Seller will carry $150K-$175,000 down ....with a qualified Buyer. Reason for selling: Moving .